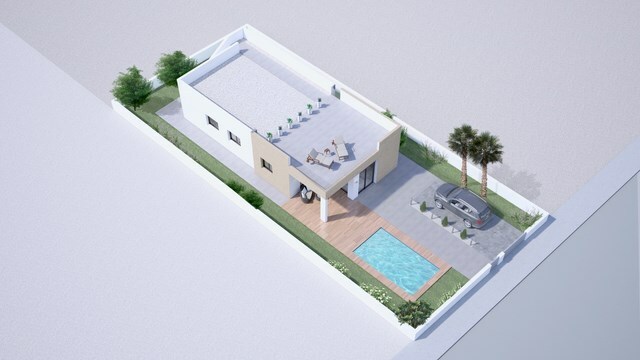 Independent modern villas close to the traditional spanish town of Aspe, Alicante. 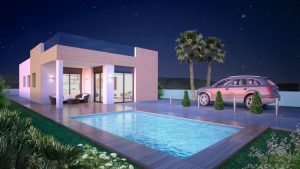 Just 1.4 km from the town center where you can enjoy all amenities (bars, shops, restaurants…) and no more than 25 km to the Alicante beaches and airport. 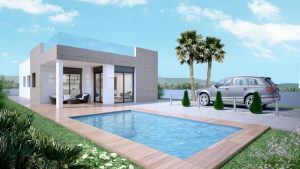 They will be constructed to the highest quality of a contemporary design with a lot of light entering into the villa through the three large patio doors leading from the lounge/dinning room and overlooking the swimming pool and garden areas. 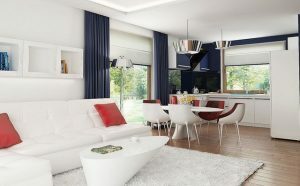 The villas will include many extras as standard, pre-installed ducted air conditioning and hot air for the winter months. Private pool with terracing and a low maintenance garden with off-road parking and external stairs leading to the top roof solarium, where there are amazing views to the mountains and sorrounding areas. Special limited offer: white goods included in the kitchen, landscaping of the garden area with trees and shrubs and external lights around the villa and solarium. Don´t miss out there is a lot of interest in this amazing modern contemporary villas. They all have a full en suite bathroom, a TV and radio. Hostal Ya has a restaurant and a bar. 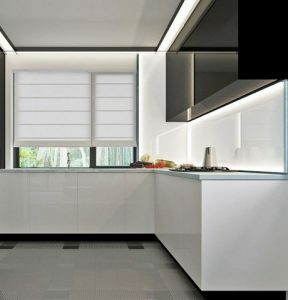 There is also a 24-hour reception desk, with a safety deposit box and laundry services. 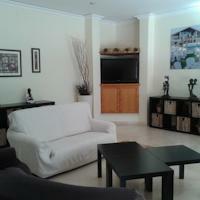 The guest house is a short drive from the historic town of Elche, a UNESCO World Heritage Site. The beaches of the Costa Blanca and Alicante Airport are less than 25km away. 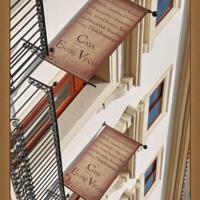 At Casa Entre Viñas you can choose between rooms and a loft. All accommodation comes with a private bathroom with a hairdryer. Bed linen and towels are provided. At Casa Entre Viñas you will find a terrace with a small outdoor pool. Staff at reception can provide information about what to see and do in the area. An array of activities can be enjoyed in the surroundings, including hiking, mountain biking and horse riding. There are also many wineries where you can go wine tasting. Font del Llop and Alenda Golf Courses are around 10 minutes’ drive away. 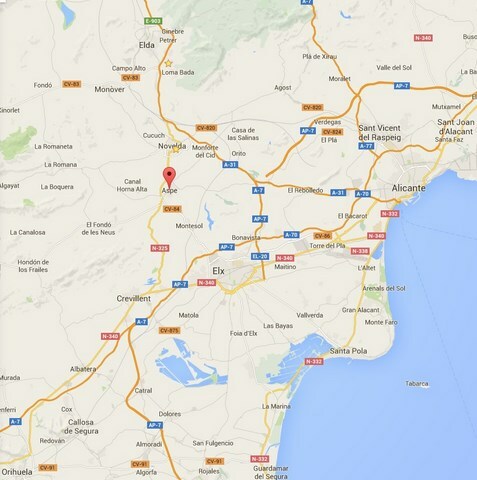 Alicante Airport is 27 km away and you can drive to Elche in 10 minutes. The property offers parking at an extra cost. We speak your language! Bed and breakfast: 6 rooms Ayora Valley. Info covers local towns with local accommodation. Info also covers info local days out in Spain on the Mediterranean. Info with information on gardening in Spain Mediterranean style. Info with information on cooking Mediterranean style. Info also covers Bowls Clubs Golf Go Karting fishing Caves and other sports here in the Mediterranean.